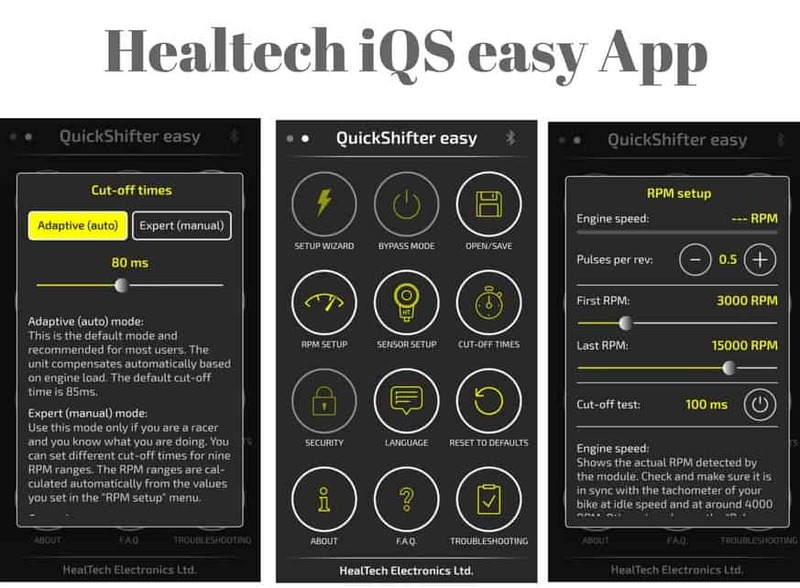 Healtech Quickshifter Review & Setup Problems Solved | Should you buy? Home » Product Reviews » Healtech Motorcycle Quickshifter Review; Most VFM Quickshifter? I am an avid sportbike rider and have been enjoying my 08 Honda CBR600RR. I love this bike but when I test rode a Ducati Panigale, I wished my CBR had a Quickshifter. 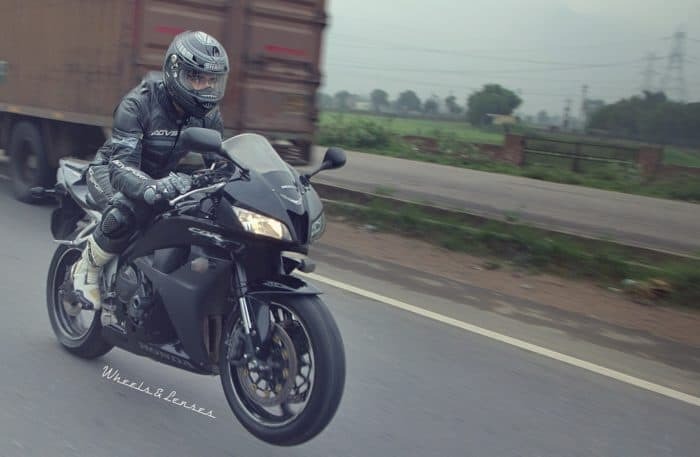 The latest superbikes are getting loaded with safety systems the like ABS, riding modes, gyroscopic sensors, launch control, and wheelie control. And here’s my 2008 CBR600RR that doesn’t even have ABS braking. Why I chose the Healtech Quickshifter (iQSE)? Motorcycle Quick Shifter is basically a device that enables you to upshift a gear without even touching the clutch. Even the throttle need not be manipulated, On the long straight just keep the throttle pinned and keep going up the gear. It’s as simple as it gets and doing this is extremely addictive. Without quickshifter, there is so much a rider has to do to upshift- Roll back throttle, pull in the clutch, upshift gear, release the clutch, and go back on the throttle. I know it becomes second nature for an experienced rider but still, it’s a lot of work. Although quickshifters are fun to use on public roads, it really shines on a race track. With a quickshifter equipped motorcycle, a track rider can focus more on tasks like focusing on braking, point, manipulating brake pressure and setting up for a corner entry. Another benefit of Quickshifter is that you can upshift even when you are leaned into a corner. This upshift is quick enough to not upset the chassis mid-corner. Of course, you should not do it when you are at a max lean angle. Nowadays, sports bikes are coming with more advanced quickshifters. They not only work while going up the gears but also during downshift. Quickshifters with downshifting capability are more expensive and complex because they even need to blip the throttle for downshifting. Even Healtech unit can cut ignition on downshift to facilitate downshift on higher gears. But I disabled that function because I don’t want to risk rear wheel lockup on a bike without slipper clutch (I talk about this in the settings refinement below). 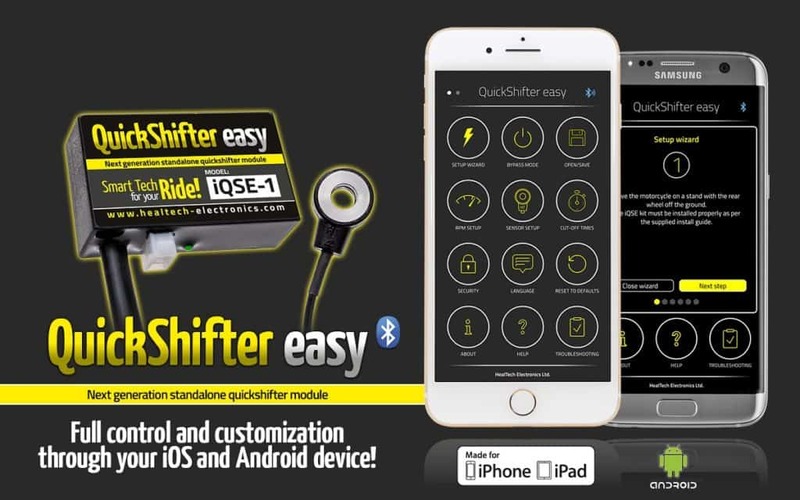 There are many types of quickshifter in the market today but they have the same task to perform. All you want from a quickshifter is to momentarily take off the load from the drivetrain. So, as soon as you build up pressure on the gear lever to upshift, the sensor should send a signal to cut power for a few milliseconds. This allows the gear to easily slip onto the next one. Some quickshifters do this by cutting of ignition but some cut both ignition and fuel. Healtech chooses to use both the methods depending on the motorcycle model while also considering the ease of install. For Honda CBR600RR and generally all Honda bikes, Healtech uses ignition cut method. In fact, this is what we do manually for clutchless upshift. Before Installing my quickshifter I had adopted clutchless upshift trick. Over the years of riding, clutchless upshift comes naturally to me. With Quickshifter I was concerned that I won’t be able to enjoy clutchless upshift when I am in a mood to do so. This was a major reason why I chose Healtech Quickshifter (I talk about this feature below). Getting a quickshifter was on the back of my head but one day I went for a track day. There, a fellow rider introduced me to Healtech QS. I looked at his gear lever looking for the sensor but couldn’t find it. He then went on to explain to me how the new strain-type sensor that’s very small and more reliable. Then he pulled out his phone and showed how he can change settings through the mobile app itself (It has Bluetooth connectivity). I was seeing all these features on a Quickshifter for the first time and it truly blew my mind. The Healtech Quickshifter was also quite affordable compared to other units I had enquired about before. But here was the best part that sold me on it- You can switch off the system completely just from your phone. This meant that I could enjoy and practice clutchless upshifts whenever I want. Not that I really need to but it’s fun when you have mastered it. I installed the Quickshifter myself at home. Yes, you do need to pull apart few things but the Instructions that came with the unit were very thorough. 1) Route the wiring harness: Generally, you would want to place the module under the rider seat. But you can place it anywhere as long as the wire can connect to battery and ignition coil connectors. All the settings changes are made through mobile app anyways. You will have to route the wiring from the ignition coil connectors to the module at the back. The harness can be chosen that’s specific to your bike model and you don’t have to do any splicing. Yes, taking apart some bodywork will be required. Take your time and route the wire properly and use plenty of ties to secure it. 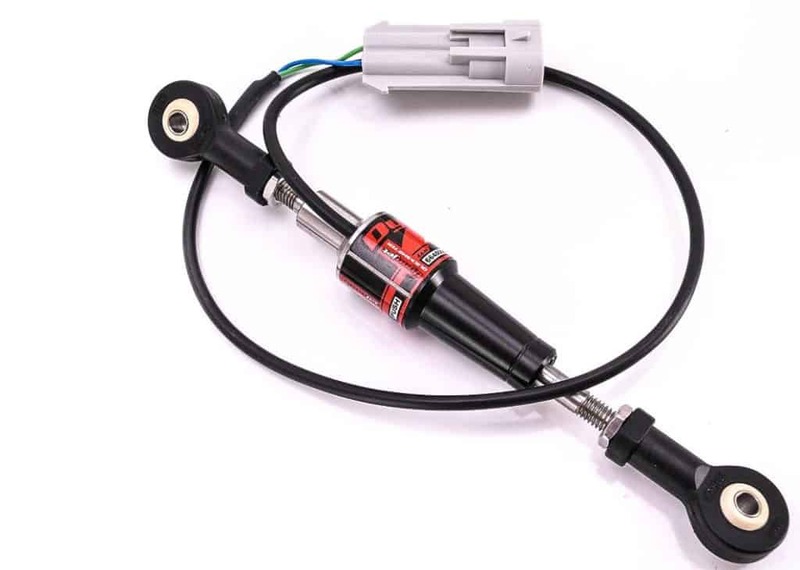 2) Install the Sensor: This Healtech Quickshifter comes with a unique pressure type sensor that looks like a button cell (strain-type sensor). Unlike other quickshifters, you don’t have to change the shift-rod for this. It goes in line with the stock shift rod. The instruction says to install the sensor sandwiched between the two washers. However, I was facing low sensor input due to this so I had to remove the washers (recommended by Healtech support). Neatly, route the sensor wire to plug into the module. 3) Setup everything: Next, all that’s left to do is check if the module is getting power and green LED lighting. Now, the settings need to be made from the mobile app- Download this app. For setup, it’s recommended to have a rear paddock stand. If you don’t have it then borrow it from someone because it will quicken the setup process and you won’t have to do many trial and error with road testing. Or you can get your buddy to hold the bike straight while you make necessary changes. That’s it, the setup is complete. I wasn’t satisfied the first time I went out for a test ride after installing Quickshifter. I was noticing that upshift was not fast and smooth. I mean, I thought that I can shifter faster than this using traditional clutch pulling, I am not even talking clutchless shifting. Also, the cutoff was being initiated before I wanted, making it slightly clunky. I noticed in the app that the sensor was sending very low signals (I had to increase the sensitivity somehow). I wasn’t happy so I immediately contacted Healtech support through email and sent a screenshot of my settings. They replied the next day and suggested me to remove two washers between which the sensor was sandwiched. I tried this and yes, it did fix the sensitivity issue. -If the shift lever is too hard, adjust the threshold LOWER. -If you experience unwanted cut-offs when touching the shift lever lightly or you hit false neutral, adjust the threshold HIGHER. This value delays the start of the engine cut to ensure proper force is built upon the shift lever. The default is 15ms. – INCREASE this value if you occasionally hit false neutral, the gearbox drops out of gear after a shift, the cut-off occurs too early or the shift feel is inconsistent. – DECREASE the value if the shift lever is too hard or the cut-off occurs too late. Before changing the Cut-off delay from the default, adjust the “Sensor threshold” properly. Cut-off time is the duration for which the ignition sparks or fuel injection stops. – If you feel the bike JUMPS during a shift, INCREASE the cut-off time(s). – If you feel the bike’s front DIVES (due to engine braking) during a shift, you have to DECREASE the cut-off time(s). Next, I played around with the settings, adjusting cut-off times, and cut-off delay, and noise filtering. I went for a short ride and now the quickshifter was working as it should. It was smooth, seamless and fast. Next day, I went for a longer ride and noticed something that was annoying and problematic. The quickshifter was cutting ignition while downshifting also. This meant that I couldn’t blip the throttle for downshifting. I enjoy downshifting and bliping the throttle to make it smooth. Now the quickshifter wasn’t allowing me to do that. (Learn how to do downshift Rev-Matching). I wanted to disable the downshift cut. I again shot an e-mail to Healtech support explaining my issue (I wasn’t hoping that they could fix it). Again, their support team sent me some settings to resolve this. I followed the instructions and voila now my quickshifter doesn’t cut ignition on downshifts. Install the sensor in the rod WITHOUT the conical washers, so the sensor only. Tighten the nut fully by hand then by about 30 degrees using a wrench. The sensor can be at either side of the rod. Run the Setup Wizard and follow the instructions. After the Wizard, make sure the “Noise filtering” is set to “Active”. Otherwise, please re-run the Wizard and make sure you do the shifts properly when prompted. Under the “Sensor setup”, tap and hold the “QSE sensor” button for about 5 seconds, until the text switches to “QSE sensor+”. Go back to the app main (1st) page. Check the signal for upshift: It should be a high number. Have the “First RPM” high enough, where you need the QS function working. This is how I got to my perfect settings. It now works as if it came installed with the bike from the factory. Yes, I did face some problems with the Healtech Quickshifter during my first 2 rides but after tinkering with the settings, it works seamlessly now. 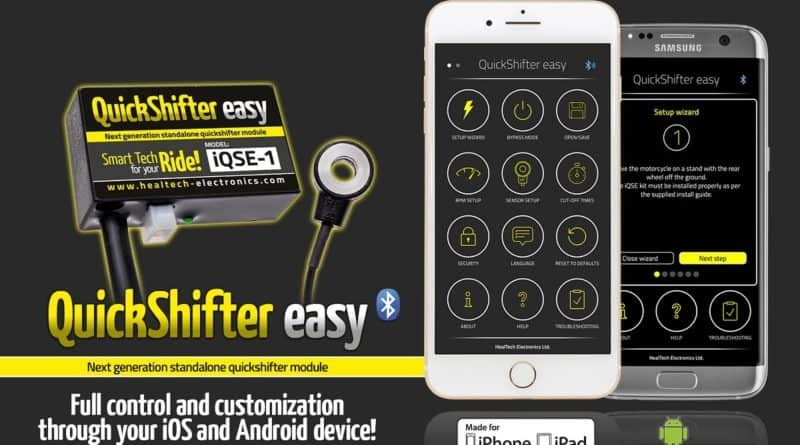 I have been using my Healtech Quickshifter for one year now and it’s been working very well. While the app for changing settings is a great idea, I haven’t played with the settings after I found the perfect setup (Although you can save multiple settings and switch between them). I do use the app often to switch QS off completely to enjoy clutchless upshifts And also when I send it for servicing or when I lend it to someone for a ride. Quickshifter settings are set up according to my riding style and it might not work well for some other rider, so it’s better to turn it off when you allow your buddy to ride your motorcycle. I am definitely happy with my decision to go with Healtech Quickshifter iQSE. It did take some time to set it up perfectly but then I didn’t have to touch the settings again after that. I have ridden quite a few latest superbikes that come factory fitted with quickshifter and I don’t think I am lacking anything. Well, auto downshift is another thing (It felt magical on the 2018 BMW S1000RR). I think this is the next step for Healtech- To offer auto blipper add-on for their Quickshifter. To anyone who is looking for an aftermarket Quickshifter, I would definitely recommend Healtech iQSE. Confirm if your motorcycle is supported from here. 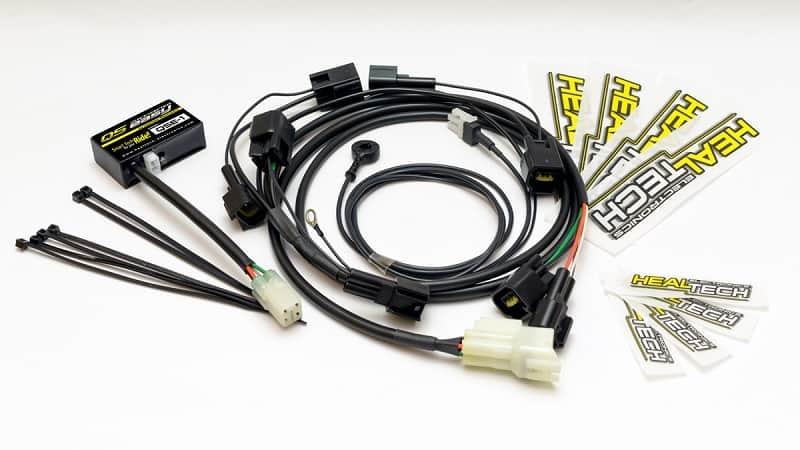 It costs between $335 to $370 depending on the wiring harness selected for your motorcycle. Click the button below to find the exact price. If you have any questions, ask away in the comments sections.